Vegetables are our first farm love. Each season, we grow over 30 vegetable varieties for our family and our community. Our vegetables are grown in three main garden patches, on permanent raised beds. We rotate our crops each year, apply compost, plant cover crops, mulch and leave areas fallow – all this to ensure that our soil is supremely healthy, pest and disease pressures are reduced, and the resulting food is as nutrient dense as possible. We purchase (and even save some of our own) seed carefully to ensure that we’re growing the most beautiful, nutritious vegetable varieties and that they are well adapted to our growing conditions in Pipers Glen. We love the experience of eating directly from the gardens – and we love being able to share this experience with the people who choose to buy our vegetables. 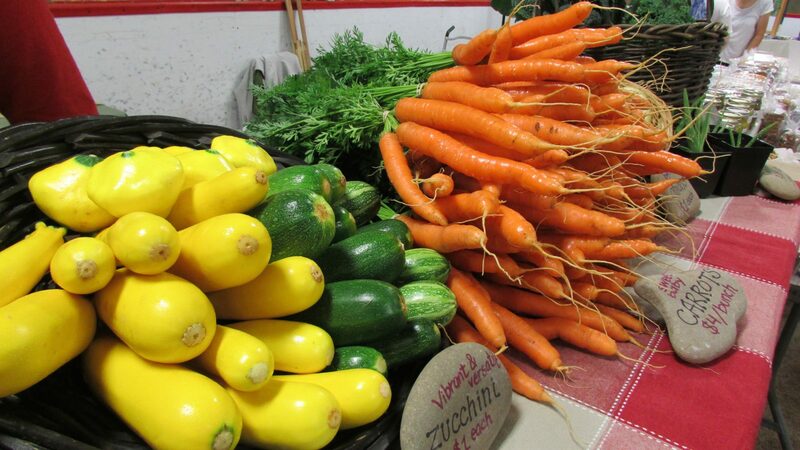 Our vegetables are available for sale at the Mabou Farmers’ Market from July until October. 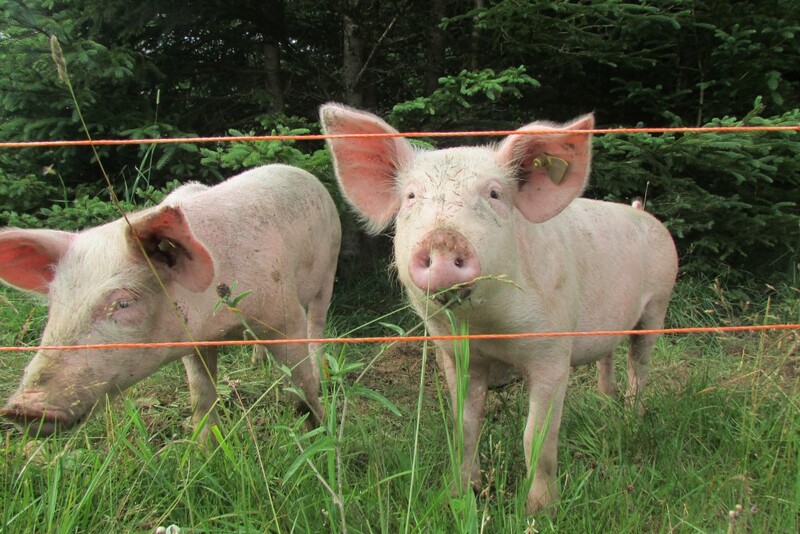 Pigs evolved in mixed woodland, including patches of nut and fruit trees, and we believe that this is still where they are happiest and healthiest. We put a lot of work into recreating this environment for the benefit of all creatures on the farm. Our pigs are free to roam their pastures and lounge under the shade of trees. They forage for a variety of wild and cultivated foods and are topped up with a balanced feed ration. We also offer them an abundance of fresh fall apples straight from the trees in our area. The pork that results from raising pigs in this kind of environment is exceptionally sweet and tender. Our pork is available for purchase by the side (one half pig or approximately 70lbs) from farm gate only. If you are interested in purchasing Patchwood pork please get in touch. All pork must be preordered by early May and stock is limited so don’t delay! 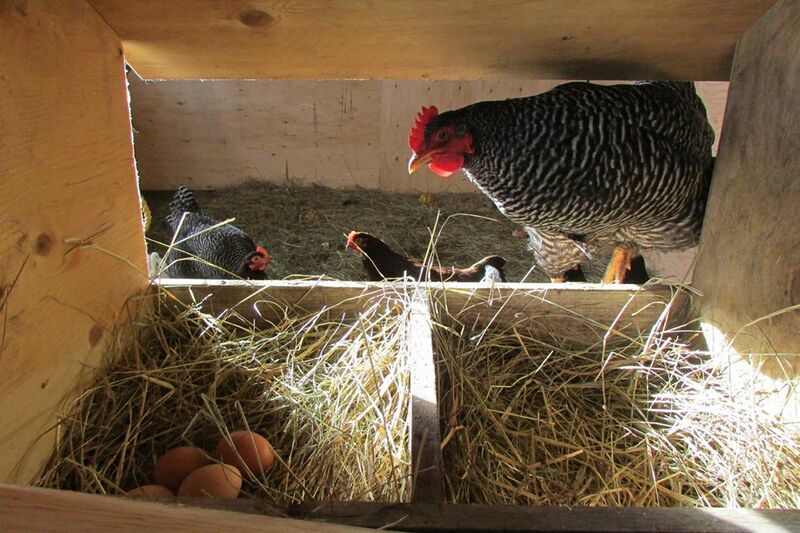 Our small flock of heritage-breed laying hens are a happy sight! 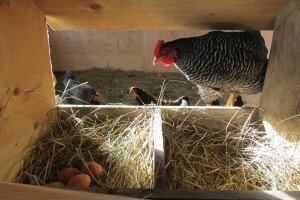 We house our chickens overnight in a safe and comfortable coop. In the morning, they venture outdoors to scratch, peck and enjoy their free range environment. Throughout the season, the chickens are rotated through fresh patches of forest and pasture to ensure both the health of the chickens and the land. The diversity of nutrients available to our foraging hens result in high-quality, super nutritious eggs. We sell our eggs from the farm by prior arrangement only. If you are interested in buying eggs from Patchwood Farm and coming to meet our hens, please get in touch to check on current availability.